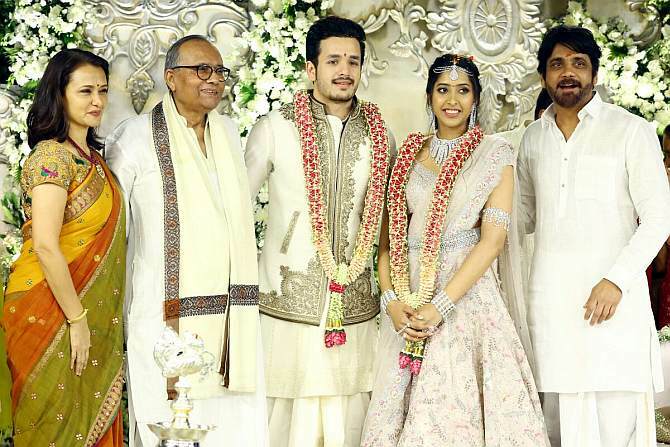 Nagarjuna's youngest son Akhil Akkineni got engaged to his girlfriend Shriya Bhupal in a private ceremony in in Hyderabad on December 9. The couple have reportedly been dating for a few years and have decided to take their relationship to the next level. 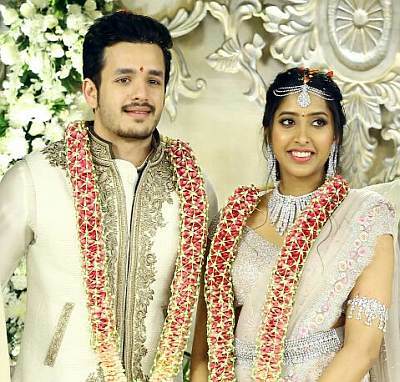 Akhil made his Telugu movie debut with Akhil in 2015 while Shriya is a fashion designer and the granddaughter of business tycoon GVK Reddy. A look at pictures from the engagement. 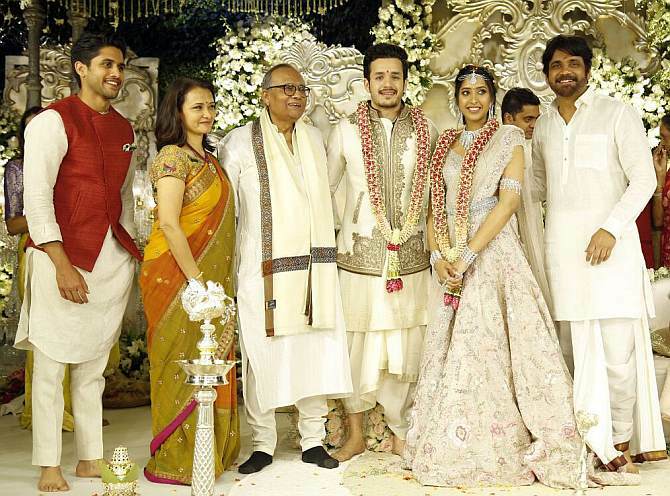 Nagarjuna and his wife Amala with the newly engaged couple, Akhil and Shriya. 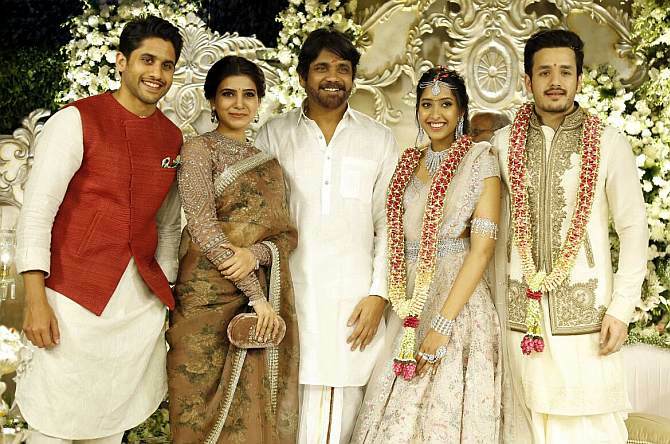 Akhil's older brother Naga Chaitanya joins the family for pictures. Naga Chaitanya with his actress girlfriend Samantha Ruth Prabhu pose with Nagarjuna, Shriya and Akhil. Quiz: How well do you know actor Jayaram?